The global pharma industries who are into the segment of life saving drug manufacturing are playing the game of capitalisms and are busy in printing money rather than saving life. Being an journalist I strongly resist on the issue. Anti-diversion programme this is the law which is being used by the foreign pharma companies to play with human life. This law acts in this fashion where the patients will only get the drug if they can provide identification, proof of citizenship and residency. This will prevent many people from accessing the drug as well as will create lot of problem for the patients who are busy focusing on saving their loved ones. Many doctors will shy away from prescribing and will create more rumors of non availability of the drug. Further drug mafia’s will get a place to play indirectly as they have unlimited scales to reach anywhere. I find that this Anti-diversion programme and the pressure on the Indian government regarding IPR changes are being designed to increase the income inequality among the Indians. Indians are increasing their wealth and are trying to increase the GDP growth. In such condition restriction on drugs and medicines will create massive problem at the ground levels which will lead to further problem for the people in terms of macro factors. This will lead to widening of income inequality, more deaths due to non affordability and also insurance companies will find a substantial hit in the long term. Drugmakers and their lobby group Pharmaceutical Research and Manufacturers of America (PhRMA) which have made some of the strongest representations to the US government against India's IPR regime. Further its being found that Indian government is being pressured and also many legal actions are being floated against the Indian pharma companies so that the Indian IPR act could be modified and could be modified where they can control the generic drug market. They want decade of patent orders on their product which are highly priced and also beyond common man reach. The Indian generic drug segment helps many Indians to access medicines which becomes to their affordability. This is a clear study of exploitation of resources in a country like India where 60% of the population don’t have proper access to health care facilities. Share holders profits and exponential growth is busy in changing the landscape of the world. People will die but they will not get medicine unless they are at the affordable levels hence these Anti-diversion programme will create massive problems rather than solving. Just imagine that if in case of polio this law have been adopted then imagine the condition of India and other countries. Overseas foreign companies are pressuring the Indian governments to adopt this law and also to incorporate changes in the IPR act. I find that Indian population is being taken as a field of exploitation where in case of health. US have kept India in high alert place due to IPR since they want changes. The same is applicable in case of Europe. They want Indian markets to be controlled and make the income inequality widen among Indians who are working hard to fill up the gap. US drugmakers have three major problems with India's patent law - Section 3(d) and Section 84 of the Indian Patents Act, and absence of a period of exclusive marketing rights when a new drug gets regulatory approval. Under Section 3(d), new forms of existing medicines can't be patented unless they improve therapeutic efficacy. Section 84 allows issuing a compulsory licence to meet the reasonable requirements of the public at a reasonably affordable price. A compulsory license can also be granted under Section 92 of the Act in case of a national emergency. Just like food medicine is a necessity. Further with increasing pollution and life style diseases have taken new shapes and dimensions hence the demand for cheap and proper affordable health care is required globally. Laws like Anti-diversion programme creates end for the global health care industry to improve. Every pharma companies will try for become billionaire at the cost of human life. FDI investments are good but not at the cost of Indian life. STRATEGIC COST MANAGEMENT IN WINNING BACK CLIENTS. The profession of cost management has taken many changes over the years and now the current decade and the coming one are the era of strategic cost management. As I have been writing exclusively for this segment today I will accentuate on the key areas of balanced score card. I have already in my previous articles have covered extensively on balanced score card I find it to be one of the best tools for an organization to scale into new heights. Every year when the month of March comes up and annual review is being conducted the most important question being asked to sales or management team is that how many clients are being acquired. The question should be how many clients acquired in the last 5 years are still with the organization. This s the place and point from where a cost accountant and his reports creates a difference in the management system. I find that companies focus on client acquisition and less on customer retention or winning back the client. Churning of clients has become a key factor. 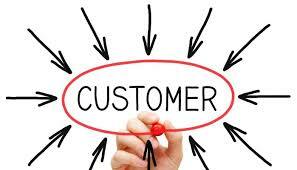 Low churning of clients is a key factor for the success of an origination which also leads to better balanced score. Competition has lead to high number of churning and hence strategic cost management is very important for the cost control and reducing churning of customers. In today’s market we can’t afford to take double cost hurt while a customer leaves or churns. Even if the companies focus on customer retention they go on a limited approach as cost is too high in getting back a client. Now applying strategic cost management I find that cost accountants can help to create and also design the mix of product for the customer winning back the customer. Only acquisition of customer will be of no help f there is a leakage in the system from where customers changes your products and services. Like a cost accountants who design a sales mix he can design a product-client winning back based product. Most companies incur high cost while winning back clients as they try to establish the brands again. The company must understand that the client is already aware about your brand and he has just changed the product or service. Hence, no requirement of re-establishing the brand to the same client. This saves huge cost. Now you need to figure out why the client changed the product or service. If it’s due to price then placing discounts solves the problem. If it’s due to service then your operation needs a-check up regarding the servicing part. If the client has moved out due to both then one needs to design a separate product of service and price combination for the same. The recent technology, particularly more-sophisticated customer databases, allows companies to draw on information about how people used their service the first time around to craft more-successful win-back offers. For example in case you belong to an Insurance or telecom industry switching over the client is often and this is the place where you need to get into price and service part so that the client comes back to you. You don’t need to incur high cost of brand establishment. A cost accountant helps to find how much you earned from the client compared to how many clients you acquired. Revenue per client is an important barometer to look into success of a product, its life cycle and in making decision regarding its sales mix and product mix designing. This mix will help the company to cuts down on churning and improve its services and product prices. Every industries expands and then its falls back. Its mainly due to the ignorance of client retention and revenue per client. When an organization focuses on its 5 years old customers it gets a clear message to the industry and competitors that the organization is serious about its business, customers, products and services. A cost accountant helps to design this balance over the years since he knows the various angles of cost and how the benefit of reduction could enhance the sales. Service cost also comes down when efficient mix of the same is created. Defense spending has become a mass importance to every economy keeping in line with the growing threat of terrorism attacks. But defense import is of massive threat standing under the current scenario of the global economy. Every economy will try to sell his defense equipments but with a limitation where the buying nation don’t get into more strength. Defense spending is of great investments for a stable economic growth. We all know the story of US economy that spends heavily at the back of defense. Historically UIS have achieved GDP growth at the cost of defense and war finding but it also wiped out its Fiscal surplus over the years. The current global economic situation needs investments and employment across industries. Chinese economy has been going through one of the tough times and it is aggressively looking forward for reviving the economy form domestic consumption. I find in my research that defense spending is very low in china and hence it’s an opportunity for growth for the country. Coming to US being the No 1 country in defense spending find time has changed that number and position too. This article focuses on the Chinese economic growth which it can achieve based on the current position through increasing its defense budget. But do we know that how much the 2nd largest economy spends at the back of defense. The surprising part is that it spends less than the average % of the global defense spending. This is also boon for the economy since the day it picks up its growth momentum towards defense the whole economy will get a big jump in its growth. Being an economic journalist when dig into the facts I find that it still lags behind major countries in terms of weaponry, training and payment to its servicemen. Chinese economy have been investing and developing relation with many economies after the 2008 recession to develop the trade and investments opportunities. But at home the economy is surrounded by many threats which can be created into a opportunity by the Chinese economy to grow its GDP beyond 8% over the next decade. Unless the problems are being identified we will not be able to measure the depth of the problem being faced by china. · In the East China Sea, for example, disputes between China and Japan over the Diaoyu Islands are a matter of tension. · In the South China Sea U.S. warships and planes have repeatedly intruded on waters and airspace adjacent to China’s Nansha Islands. · China is also under mounting pressure from North Korea’s nuclear program, as Beijing works toward detente. · Above all China directly borders 14 countries. Defending its people and territory constitutes an important aspect of national security. · In the past 10 years, China’s defense expenditure averaged 1.33% of its GDP much lower than the 2.6% of the world average level. When I dig further to find out the level where china stands in terms of defense spending I find some surprising facts for all of you as well as opportunity level for the china to grow in the long term. It clearly reflects that china is far behind other countries and it has ample scope of growth in the long term. The current budget level of china has far long way to go and hence GDP growth of 8% can be achieved. In continuation to my previous two articles related to poverty alleviation and entrepreneurship, I broadly found in my research that there is deep flaw in the financial institution on policy frame work. It’s time for applied Management science followed with Business growth monitoring and assisting for the Micro SME and SME shifting from the traditional mechanism of credit disbursement growth. Yes credit growth measurement for business growth is a wrong tool for the society and its needs modification under these times. Micro SME segment is an important part to the world economy particularly in times when poverty reduction and bridging gap of income inequalities comes into play. Credit growth is the key factor being taken care in financing world where as growth of an Micro SME or an SME is neglected. Growth of an Micro SME is a key factor for the growth of an economy. The financial crisis which has started from 2008 has created immense pressure on the entrepreneurship as they drying out of funds. Financial crisis have forced many teenagers to drop their schooling become a helping hand to the family. They are looking or dreaming to start something f their own as employment market is also down. Large part of the society is under the threat of financial crisis and this has lead to a significant affect on the Micro SME segment. Financial crisis has affected CRS activities, have affected NGO’s as they are getting very low levels of funding as donation and further Banks are reluctant to spend. Global entrepreneurship and Micro SME segment have no other alternative but to look for projects which are based of capitalism theory where Private investors can be introduced. This kills the MICRO SME segment. Many entrepreneurs are not getting flourished. Social causes are being exploited in order to get credit. We don’t need banks we need someone to understand the viability of an project and also look into the day to day activity of an Micro SME and SME segment so that their business plans don’t flop and neither their dreams are shattered. We forget that every death of an dream cost the economy in terms of multifaceted aspect among them creation of employment is the biggest. MICRO SME and the journey towards SME is the key area where management institutes and financial institutes should come together to design and frame the success of an SME or a Micro SME on an individual basis. This might sound lunatic but the fact is that we need to form small organization where management science and financial institutions comes together to develop this success recipe. The biggest advantage of these bodies coming together will be that Micro SME will get knowledge and financial strength together. Well a Private Investor does same thing when he come into play. My point is that why to go for exploitation of resources when government should form these organizations to look over the SME business growth and not on credit growth. The biggest mistake that many economies have been doing is on the credit growth and not on the proper returns or outcomes from those credit growths. Looking forward for viable business creation should be policy of these financial institutions and hence management science institutes who spend billions at the back of Research and Development should come ahead with application of the same for the benefit of Micro SME and SME segment. Lease not that we are no longer in the world where management education results gets maximum benefit from these new management concepts application. We need this organization to be formed under the surveillance of the government so as to keep check on the future policy frame work which will help the Micro SME to grow business. The government and the economy both will benefit as they will work on growth of business and not on credit growth to the Micro SME. Mere disbursement of funds is not sufficient what is required is bring these MICRO SME entrepreneurs into the growth of the economy. Disbursement growth of credit and efficient frame work of subsidies will not help the dreamers to dream big. Private and Government should form these organization at the zone, district levels so that Micro SME and SME segment is being monitored for growth. It has been often that they lack strategies for growth which often leads to close down of business. This leads to loss to the nation through the banking segment. We don’t need disbursement growth we need growth of employment through MICRO SME and SME. Poverty alleviation and poverty creation are going simultaneously as we are not plugging the loopholes as well as not focusing on transformation phase of the poverty into wealthy segment. In my last article I focused on entrepreneurship and poverty alleviation. In continuation to that research I found that the process of butterfly birth is still not well developed in the entrepreneurship. From the birth of an Entrepreneurship to a Micro Small & Medium Enterprise to Small & Medium Enterprise to a listed Small Cap company is not very well processed in the Indian economy as well as in many economies across the globe. MSME wants to grow but various types of constraints which make them die in between the conversion phase into SME. Strategic innovation, connectivity, Funding and human labour kills them from taking birth. The government frames policies and subsidy planning’s but they still fail to blossom out. Few only manage and rest of them fails. Management science has taken lot of changes but the biggest lack is the reaching of those changes to the masses and making benefit out of them. Technology has come to bridge the gap but how many knows or have access to the same. Micro SME is a game changer for the society since they give motivation and knowledge to the new comers and plays a pivotal role in poverty alleviation since they teach the society to dream big. Just understand that if these Micro SME are not able to grow then poverty alleviation will remain in nascent stage. Further, SME’s needs to grow their business into Small companies by getting listed in stock exchange. People will say that SME are growing and Micro SME is also growing but what I want to accentuate is that the growth and conversion phase is very slow. It’s very weak currently and that’s why poverty alleviation is a slow process. Education and Technical expertise are weak hence the birth and conversion phase of the butterfly is slow. On the other hand natural disaster and financial crisis is deepening the income inequality phase and hence poverty is also increasing on the other hand. Taxation benefit and subsidies are given but reaching them and strategically using them is a cumbersome process and hardly any management professional will come ahead to support them since they can’t pay hefty fees. Well the society is divided between knowledge and lack of knowledge and it’s the responsibility of the knowledge holders to educate and bridge the gap of poverty. Entrepreneurship promotion within the economy is not only sufficient to remove poverty but to expedite the process of conversion into SME and then into a listed company is of greater importance as it creates more larger environment for recruitment of manpower and other related parties. If an entrepreneur remains only Micro SME then he will never create larger growth for employments and other related parties hence the growth of the poverty alleviation remains a struggling point for everyone. Strategic policy implementation is required in every step to build the butterfly birth process to be faster. Now management science and few professional can create a immense difference behind these Micro SME to get into the journey of butterfly. Cost Management and cost accountants can help to create the difference since strategic cost management plays a pivotal role to develop a true organization which leads to the final destination of an SME getting listed on a stock exchange. Mere policy and subsidies will not be sufficient enough to alleviate poverty from the society. Rather we need to get into the conversion frame work where organization and professional bodies should come together to help them grow their business and become a beautiful butterfly. It has been witnessed these MICRO SME struggle with the biggest problem of lack of growth concepts and also lack mental support. Professionals like cost accountants can be a bigger influencer for this MICRO SME to a Small Cap company getting listed. Poverty alleviation cannot be done mere through grants and subsidies. There are many subjects which are floating in front of the economist eyes and we are getting confused regarding which one to be analyzed and to what extent. I have tried to present a gamut of the same. I have just picked two economic measures of policies being adopted by the two different economies and their long term and futuristic movements. I have also tried to present Entrepreneurship= Poverty Alleviation theory in a simple way. The hunger for consumption eats the long term behavior of the society. We have witnessed historically that how exploitation of an asset class leads to a worldwide recession. We all want short term growth and that is killing the long term base of the economy. Recent move of negative interest rates and more negative interest rates to be included in the various countries is being motivated to drive consumption and where people will save less and will be compelled to spend. This is the economy policy which is being adopted to get inflation and manufacturing to continue its upward journey and deny people from savings. If a economy don’t have much savings and in between a natural calamity hits the ground then just imagine the depth of the income inequality and society imbalance being created. We are forcing people to become poorer and asking the rich to become richest. My concern is that Negative interest rates will hurt the long term pension funds and the old aged people who will get added over the next 10 to 15 years. China and the world commodity market of iron ore will find its price climbing further and by 2017 and 2018 it will be better year for the commodity. Few of the rationales would make the story very clear. Developed economies have shut down the steel and iron ore production capacities due to the pressure of supply from China. Now all the worst part of excess production has been curtailed. Further China in its recent policy has said that it will cut down its excess capacity. This will help developed economies to grow their business in mining and steel production. But at the same time the pains of over exploitation of resources will burn many Chinese citizens. The shorter Boom and the Long Term Burst comes into play for the economy. Around 1.3 million Jobs will be lost in coal sector, 500000 jobs in steel industry and another million in mining. Hence slowdown of the economy in china in terms of consumption is bound to happen. Hence savings is important for the rainy days for the citizens where as others will find paths to get consumption growth. During the short term time frame Chinese government did not went for cut down in its production and when the global economy is struggling at that point of time these measures are being implemented. Taxpayer’s funds are also being doled out to save the mass by providing unemployment benefits. Amount of $15.3 billion will be spent for the next 2 years for the unemployed segment coming out from all these policy actions. The point of discussion is that aren’t we being fooled that short term growth and happy spending and then cut down on production leading to unemployment and increase of social benefits and then again negative interest rates to get consumption back and ask people not to save. We need consumption to be alive. We need short term profits at the cost of long term and now at the cost of social benefits. We are not focusing on poverty reduction measures and policies and their real time implementations. If we look into the formula “Entrepreneurship= Poverty reduction” then we can get lot of macroeconomic support which will get growth for the overall economy in the long term. We are looking for options of bailout and bond purchase and then again default of bonds. We need poverty alleviation policies which will bring circulation of capital and formation of assets, employments for the economy in the long term. The government will be able to get revenues but they will get consumption also as more Small and Medium Enterprise opens up. The problem is allocation of resources which the government is not doing properly and has kept it reserved in the hands of few capitalist. For example a SME born in Europe can design an online platform to supply goods from NGO’s to China or to Africa where the people are in the poverty zones. For example in China many villages don’t have proper cinema halls to watch movies. Hence many people can come together to develop some business where these people can watch cinemas. Advanced agricultural information and production knowhow could be shared for improving the crop cultivation in remote villages where people are in the poverty lines and bringing growth for them. Advanced quality fertilizers and seeds could be transported to develop these places. Well the world has abundance level of poverty and we are doing only meagre things to bring growth. Alleviation of poverty can make enough gross capital formation and also investment climate. Now a question might come up that this is an easy subject to know but then why it is not being implemented. Well we all need exponential growth and within very short span of time. This mindset have killed all the growth opportunities and now we are struggling to get inflation and consumption back.